I put the battery in the wagon and started driving it this week. been looking at all the little things that needs to be done. fixed some interior trim and today I ordered a molded vinyl floor in lew of carpet. I live in the sticks and I do a lot of outdoor things so the carpets in the vehicle tend to get trashed. Honestly wish I could get vinyl flooring in all my vehicles. I have had my truck 16 years and I have used the foam brush and pressure washer on it a few times but the floor looks new. 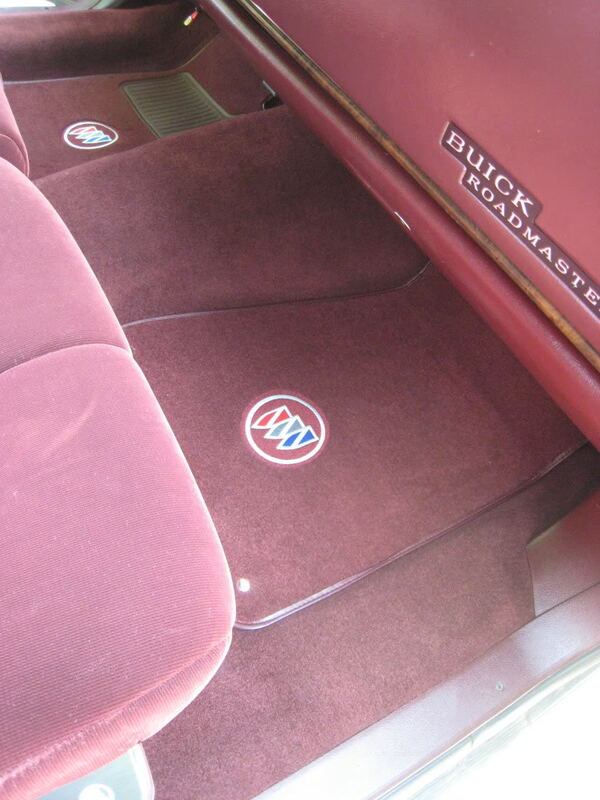 I am thinking I might like some custom carpet mats with an embroidered Buick logo in them. Anyone here ordered any before? Lloyds makes several quality levels and adding the logo isn't cheap, just wondered if anyone did it for there wagon and if they have a pic. 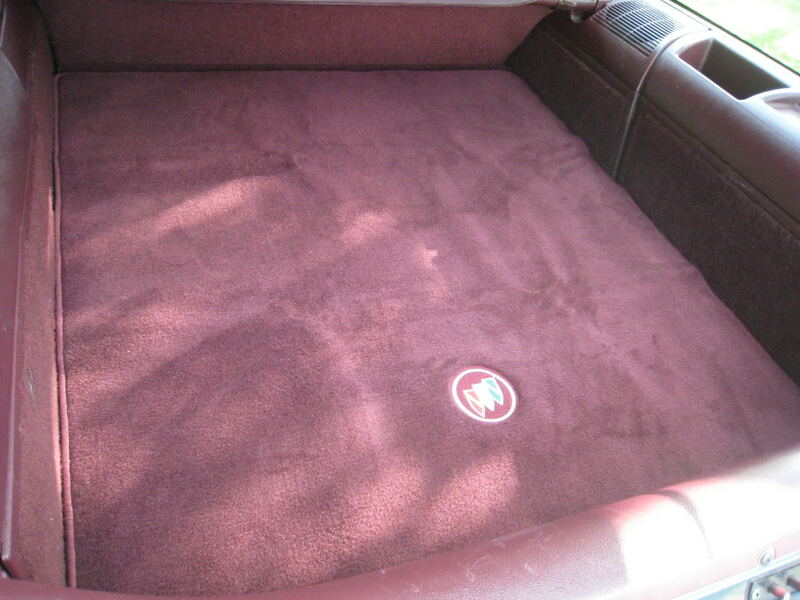 I had a cargo area mat made with the logo...and then had them add the Buick logo to stock floor mats. i wonder how much different the b-body floor pan is to the d body,. 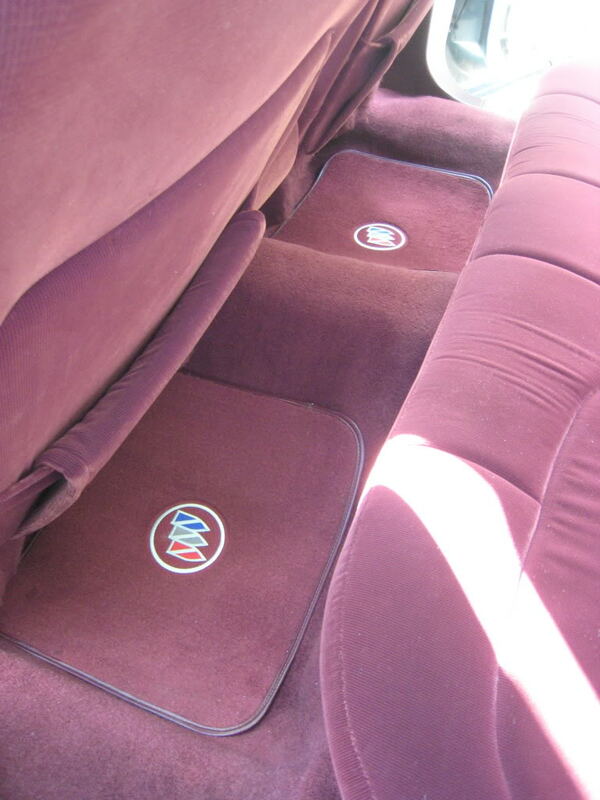 I,d like a set of these with the caddy crest on them,. Nick did you finally find a decent D body? If your the lucky duck who scored the Jade D body in Barrie a couple months ago I'm very jealous?????? If you already introduced your new toy to the gang kindly send me the link. I hope you got a nice one. I almost got the ppm slicktop,.missed iot by 2hrs,. The caddy is in the fleetwood section.